– Insufficient infrastructure to handle waste efficiently ?? What HK needs is a comprehensive legislation, regulation, a tax and incentive framework to tackle the waste problem comprehensively. As of yet there are some voluntary schemes which will probably be insufficient. Furthermore, on short notice, HK needs alternative disposal options for its landfills. The end goal should not be just to deal with waste, but also produce less of it at the source and make businesses and consumers active and responsible stakeholders. – HK produces around 13500 tons of waste daily, which is mostly disposed of at landfills since there are no large-scale modern waste treatment facilities. – Projections are that the first of the three major landfills will be full in 2014/2015, and the other two by 2018. Therefore, alternatives for landfills are necessary, since HK lacks space to keep extending these on the long term. Recycling Waste EPD figures show that only 1 percent of recycling occurs in HK, the rest of waste for recycling is exported to mainland China. There is virtually no recycling industry in HK. As the government encourages more recycling business, a high demand on advanced recycling technologies or equipment in HK exists. However, even if we could achieve these waste reduction targets, there would still be a significant amount of waste left that requires disposal. In the most optimistic scenario, that is, with low waste growth, waste reduction targets achieved and public filling areas continue to be available, the three landfills will be full between 2012 and 2018. On the other hand, in the worst scenario, the three landfills will be exhausted between 2005 and 2008 . The continued growth in wasteloads means Hong Kong is running out of landfill space far earlier than expected, and the existing landfills will be exhausted one by one by 2020 if waste levels continue to increase at current levels. Unless solutions are identified immediately, we could face a crisis in the next decade of having nowhere to put the thousands of tonnes of waste thrown away each day. Officials admitted that the government could provide a waste treatment plant in North Lantau with only half the amount of food waste they had earlier estimated. At a public hearing by the Legislative Council’s public accounts committee today, officials also explained that they underestimated the construction costs of the first phase of the Siu Hoo Wan waste treatment facility by over 200 per cent due to the lack of reference prices for similar projects. Lawmakers were questioning the officials about an earlier Audit Commission report, which criticised the Environment Bureau for underestimating the construction costs of the plant, ultimately leading to a four-year delay in tendering and commissioning. The report also questioned whether the government could meet its estimated target of providing the plant with about 86 tonnes of food waste every day. 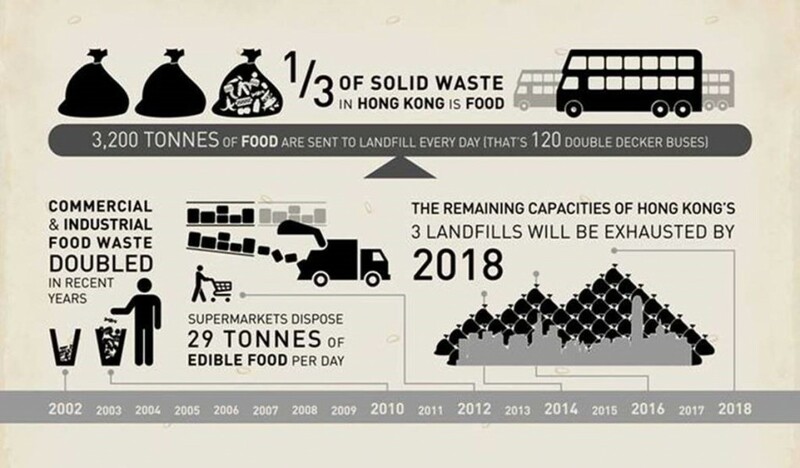 During the hearing, Vivian Lau Lee-kwan, director of Food and Environmental Hygiene, said her department would be able to provide only about 40 tonnes of food waste from 36 wet markets every day to the plant due to limited resources. “Sorting, collecting and transferring the food waste all involve new resources,” she said. Facing criticism for the underestimation of the project’s construction costs, assistant director of the Environmental Protection Department Elvis Au Wai-kwong explained that the project was the first of its kind in Hong Kong. As there was no price reference, the bureau decided to get a tender offer first to obtain a market price before asking the Legco for funding approval, despite the bureau having already estimated in 2010 that the project might cost HK$489 million. The first offer received in 2011 was “unreasonably high”, said Au, so the bureau cancelled the tender and put out a new one in 2013, which resulted in a “reasonable” offer. In 2014, The Legco’s finance committee approved the bureau’s application for funding of about HK$1.6 billion. Au said it was difficult to correctly estimate the costs because there were no similar projects in the city and no standard prices across the world for reference. Regarding doubts over whether the government could meet its target of reducing municipal solid waste per capita by 40 per cent by 2022, Secretary for the Environment Wong Kam-sing admitted that the target was “ambitious and progressive”, but said he believed that the Environment Bureau could meet the target with multiple policies and cooperation among different departments. The city’s first electric bus in a government initiative to improve air quality made its maiden journey across Hong Kong Island today, with four more expected to start running within a fortnight. The Citybus circular route No 11 – a battery-powered, single-decker bus with 31 seats – travelled from Central Ferry Piers to Jardine’s Lookout. 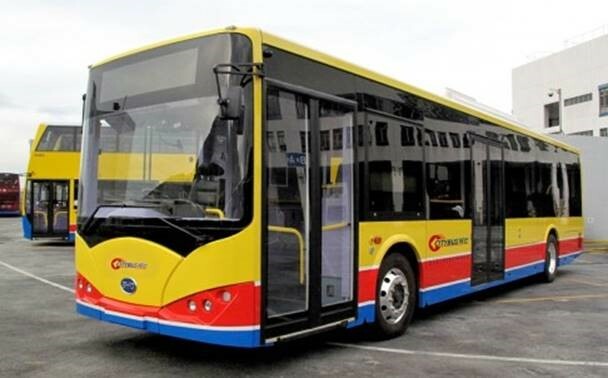 Its two-year trial run is part of the government’s HK$180 million scheme to improve air quality by subsidising five franchised bus companies to purchase 36 electric buses and related charging facilities for trial runs on different routes. Two more Citybus circular routes, No 12 and 25A, are expected to start running today and tomorrow; while two New World First Bus Services’ routes, No 81 and 78, are expected to begin today and on January 5. The two bus companies expect five more electric buses will be put into service in the first half of 2016, with an extra bus joining each of the five routes. The buses will be assessed on their operational efficiency, performance under various conditions as well as cost-effectiveness – with the Environmental Protection Department conducting an interim review a year later. The government is expected to set up a task force to monitor the trial runs, with representatives from franchised bus companies, the Environmental Protection Department and the Transport Department. Chief Executive Leung Chun-ying announced in his policy address last year that the government would promote the use of electric vehicles and fund purchases of electric buses. 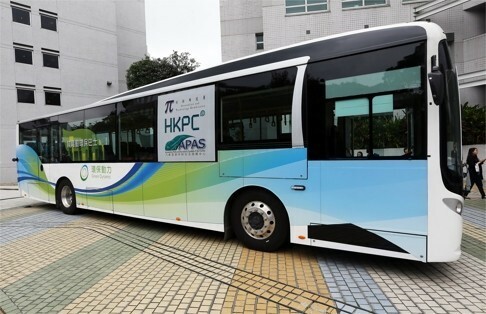 In October, the Hong Kong Productivity Council and Hong Kong Automotive Parts and Accessory Systems’ Research and Development Centre rolled out their first locally designed, single-decker electric bus for a month of road tests. But the bus caught fire earlier this month at a Yuen Long car repair site. The cause is still being investigated.